I am so excited because this week is the official start of fall. I am so ready for fall. I am pretty sure I say that every year, but it really is my favorite time of year. Fall in Oklahoma is nice, but I will totally admit that I miss fall in the northern U.S. 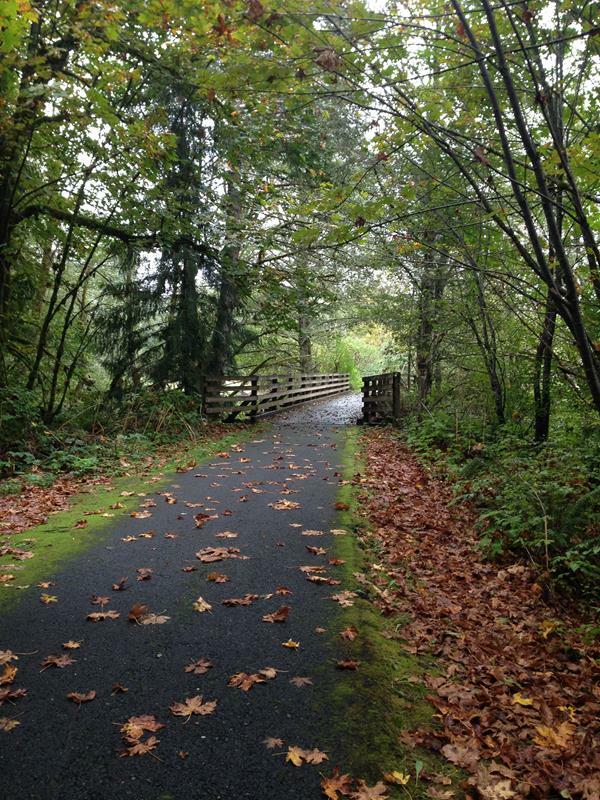 The above picture is one that I took a few years ago when I visited my family in Oregon in September. Let’s just say Oklahoma does not look like that in the fall. But no matter where I live, I think fall will always be my favorite time of year. I have been busy in the kitchen making all kinds of things. I have some new recipes that I am excited about and will be sharing over the next few weeks. 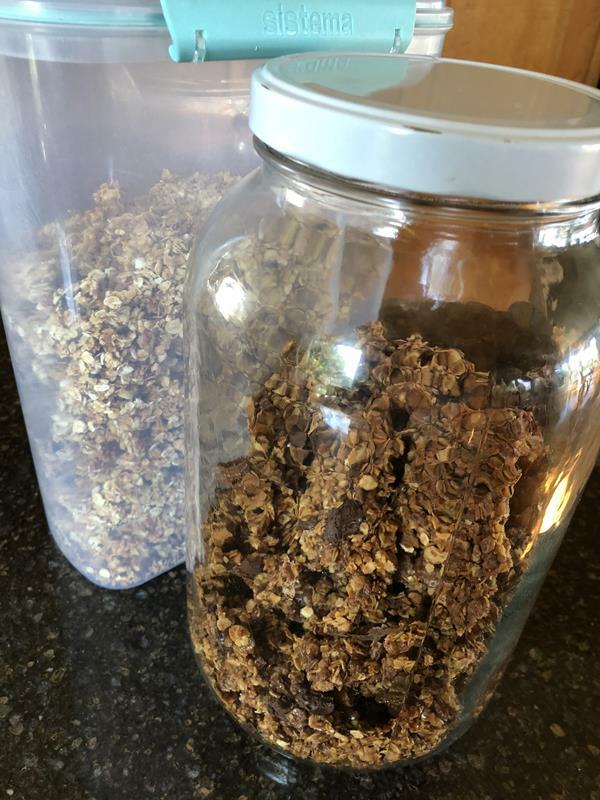 I also made several batches of homemade granola recently. If you have never made homemade granola I highly recommend you give it a try. It is a favorite at our house. I made Cheesy Baked Rice the other day and forgot how much my family loved it. If you need an easy side dish it is a great one to make. I have also made Mexican Pork Chops a lot lately. I shard this recipe years ago, but we still make it all the time. It is my favorite way to make pork chops. 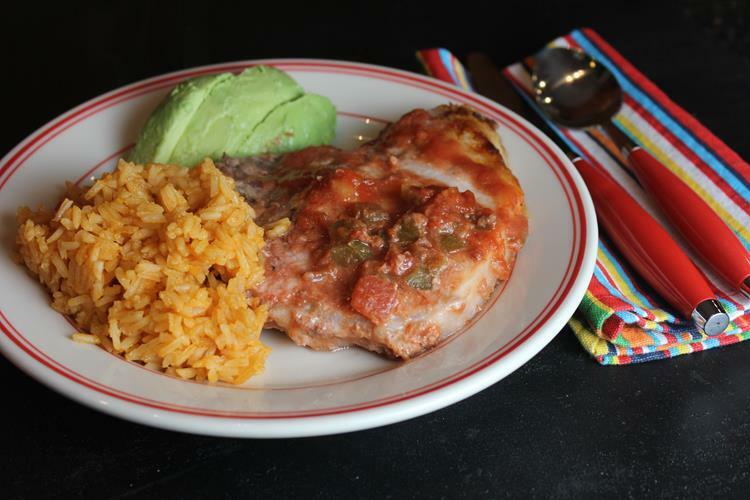 I have both an oven version of Mexican Pork Chops and Crock Pot Mexican Pork Chop Recipe. We love both of them. And this picture below is a keeping it real picture. Not all my recipes turn out. Not all my meals are ones that my family love and want to eat. 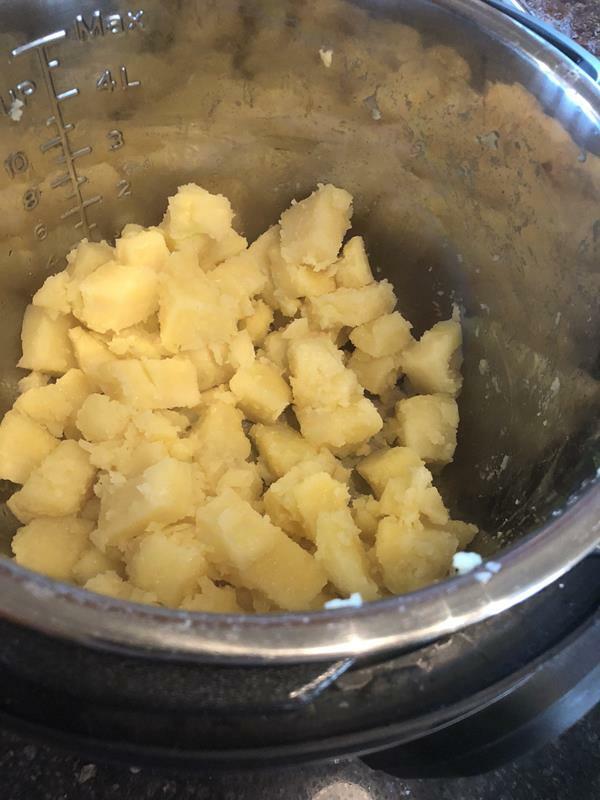 After seeing multiple Instant Pot recipes for a specific way to cook potatoes, I decided to give it a try. My gut instinct told me that the recipe wouldn’t work quite right. I just didn’t see how the potatoes were going to be brown and beautiful like the pictures I had seen online. But I decided to give it a try. Well the above picture pretty much proves that my gut was right and Pinterest was wrong. They still tasted good and we ate them, but they did not look at all like all the pictures I had seen. They were also kind of bland and boring. Definitely not a recipe to do again. I am not even sure this one would work with some adjusting. This is what my current reading pile looks like. Yes, I am reading all of those at once. That is actually a pretty good example of what my normal reading stack looks like. Lots of nonfiction with some fiction mixed in. I am really enjoying all three of the nonfiction books. I just started the Karen White book and I am not sure what to think. Have you read it? I haven’t read anything by Karen White before, so I hope I like it. I would love to hear your thoughts if you have read her. If you like reading, books, and history, we would love for you to join us over on our book website. 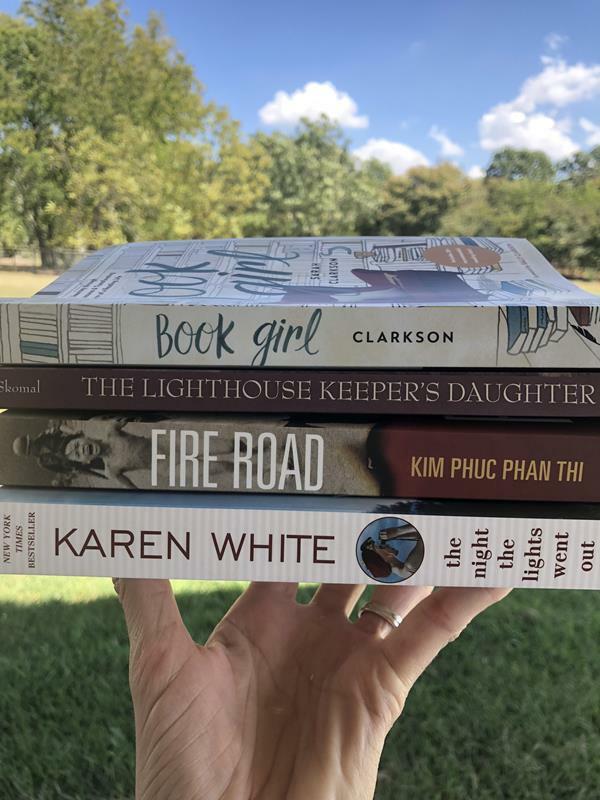 My daughter and I love talking books and history with other people that love to read. We have just started a This Week In History series where every Sunday we share a few interesting facts that happened that week in history. If you love history and love learning new things you might enjoy it. I hope you have a great weekend! I plan to catch up on things around the house, make a few extra meals for the freezer, and hopefully fit in a little time for reading. Sooo true about the Pinterest pictures. I will have it pulled up on my tablet in the kitchen and my husband will be like, oh, that looks so good…..then we eat the finished product and are like, meh!! LOVE your blog and the realistic recipes! I agree on the cauliflower. It might be good for what it is, but it isn’t the same as rice. 🙂 I am so glad that you enjoy my site and recipes. Thanks for reading and following along on my kitchen adventures!